Tim B. 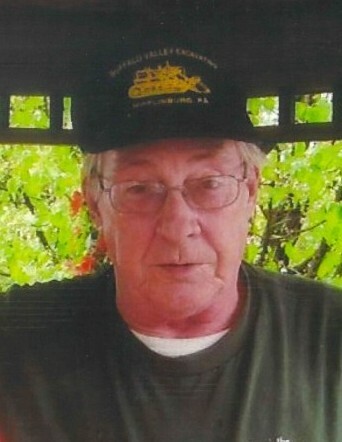 Long, 76, of Beavertown, formerly of Mifflinburg, entered into rest at 7:45 p.m., Sunday, March 31, 2019, at Evangelical Community Hospital, Lewisburg. He was born June 1, 1942, in White Springs, a son of the late Joseph B. and Charlotte (Stere) Long. On September 29, 1961, he married the former Beverly Rosancrans, who preceded him in death in 1986. In 1995, he married the former Fran A. Brouse, who preceded him in death in 2000. Tim attended Mifflinburg High School. He was employed at Ritz-Craft, Mifflinburg, for many years. Tim was a member of the Mifflinburg V.F.W. Post 1964, Sunbury Steam Fire Engine Co., Sunbury Fraternal Order of Eagles #503, and life member of the Union County West End Fire Company, Millmont. He enjoyed hunting, fishing, trapping, and camping. Surviving is his companion of 19 years, Gloria J. Kratzer; one son and daughter-in-law, Earnie and Jennifer Long of Middleburg; three daughters and one son-in-law, Pauline Strahan of Selinsgrove, Kim Long of Mifflinburg, and Audrey and Bob Knepp of Selinsgrove; one step-son, Michael Steffen of Michigan; one step-daughter, Cindy Musser of Penns Creek; one sister and brother-in-law, Isabell and Albert Holton of Middleburg; eight grandchildren; and 13 great grandchildren. He was preceded in death by one brother, Leslie Long; and one sister, Joann Babbits. Family and friends are welcome from 10 to 11 a.m., Thursday, at the Roupp Funeral Home Inc., 8594 Old Turnpike Rd., Mifflinburg, where the funeral will be conducted at 11, with Pastor Marc Snyder, officiating.